Few objects beg humans to love and preserve them as strongly as a wooden boat. Wooden boats built in the traditional plank-on-frame style are magical, in part because the materials were once alive and seem to imbue the structure with traces of soul. 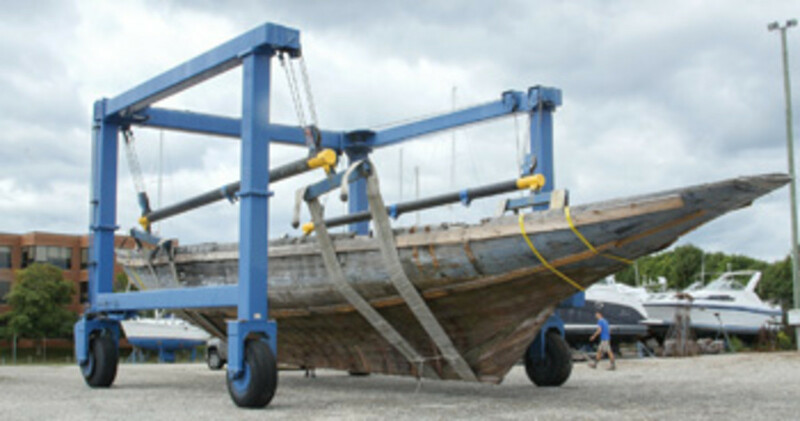 Plank-on-frame boats breathe, respond significantly to changes in humidity, talk to us when we stress them. They also earn an extended family of former owners, crewmembers, boatyard workers and journalists. If a decrepit wooden boat was designed by Nathanael Greene Herreshoff and built by Herreshoff Manufacturing Co. of Bristol, Rhode Island, the dedication to her care and feeding increases by an order of magnitude. Doris is a perfect example. 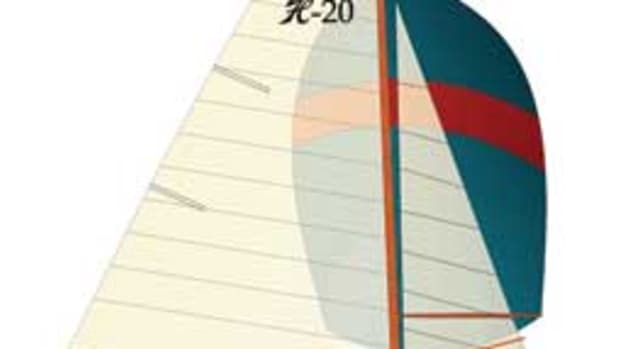 Herreshoff drew this 78-footer in 1904 for S. Reed Anthony, a banker and broker from Boston. Anthony paid $18,000 (about $467,000 today). “Capt. Nat” based Doris on lines from the half-model of Petrel, hull No. 510, built in 1899. In the HMCo. offset book for Petrel, a note says that Herreshoff increased all of the width measurements by a factor of 17/16, using a scale rule that showed 1 foot as being 12¾ inches. He also changed the angle of the sternpost to stretch the waterline length a little. These modifications required new plans, patterns and station molds. 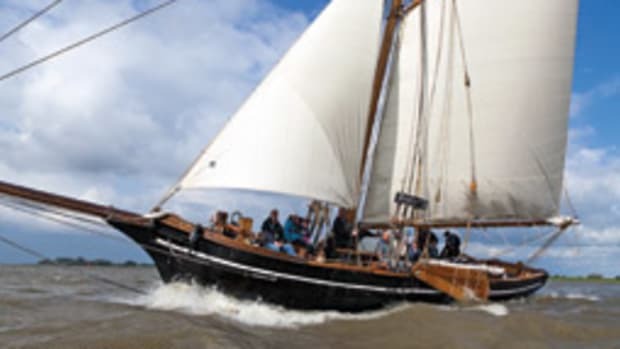 He also gave Doris a topsail gaff cutter rig instead of Petrel’s gaff yawl. Doris lived a full life from the time Anthony took delivery in 1905. 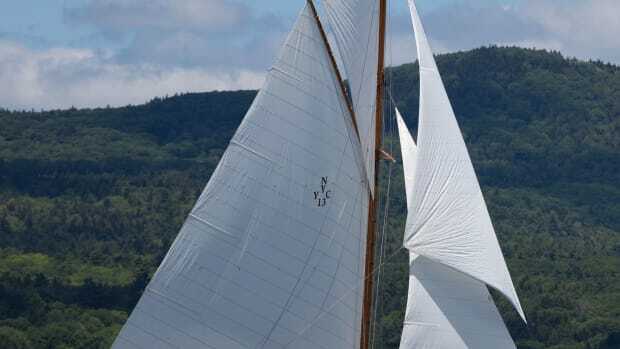 After the ups and downs of her 112 years and 14 owners, she’s now in the loving and skillful hands of Snediker Yacht Restoration in Pawcatuck, Connecticut, and likely will celebrate a rebirth in four or five years. At that time, she wore the name Vayu, and her interior had been removed and replaced with hay — in other words, kindling. She was going to be towed to deep water, set on fire and scuttled. “I couldn’t imagine the loss of such a beautiful yacht and wanted to save her,” Thiry says. He bought her and attempted to organize a volunteer effort to restore her. Like an unlucky foster child, Doris couldn’t catch a break. She fell on harder times in 1983. David S. Revenaugh, her 11th owner, kept her in Deep River, Connecticut, listed her on the National Register of Historic Places in 1984 and dreamed of restoring her. 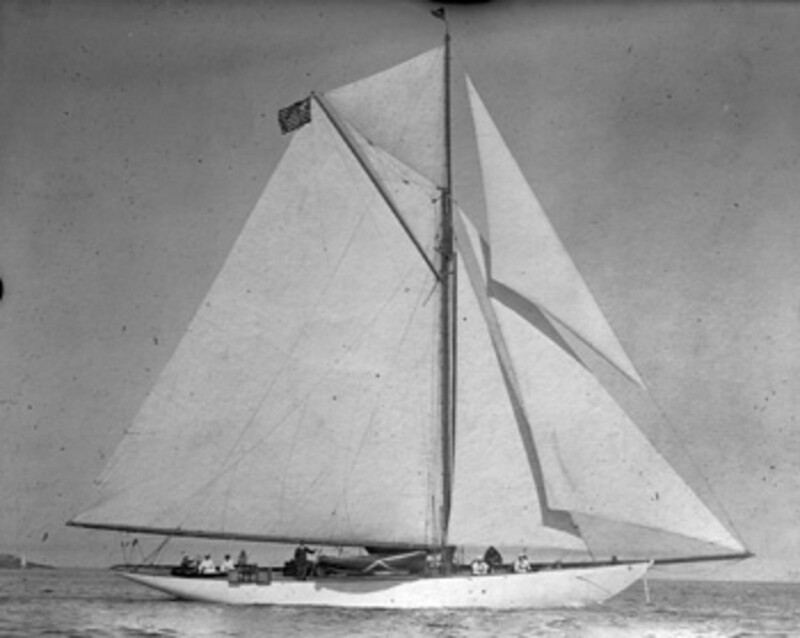 The 12th owner had the same dream, but after he realized that the expense and effort of saving Doris were beyond him, he abandoned her at Crocker’s Boatyard in New London, Connecticut. A project of this magnitude on a yacht as old as Doris demands careful research and a high level of empathy with the designer’s and builder’s modus operandi. 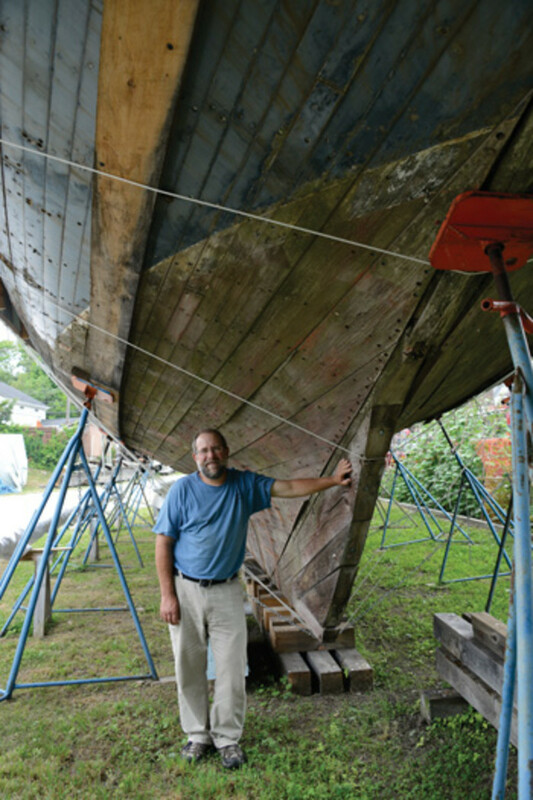 Snediker’s experience as a builder at Mystic Seaport nurtured his approach. 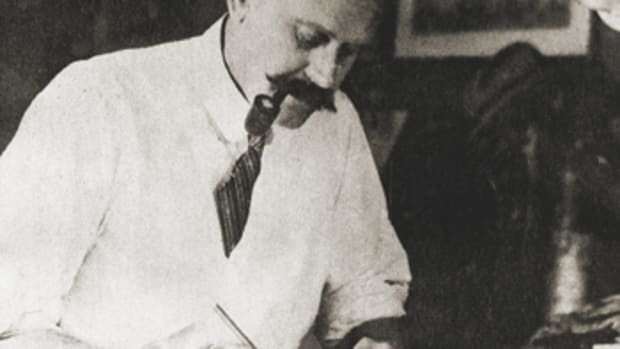 “In the restoration world,” he says, “there can never be no boat and there can never be two boats, so you have to restore the envelope of space, work within the old fabric.” Luckily for Snediker, he can draw on reams of documentation at the Francis Russell Hart Nautical Museum at the Massachusetts Institute of Technology in Cambridge. He has access to every detail of the original construction, right down to drawings of the hinges and latches, all of which the museum numbered and cataloged. Snediker’s dedication to accuracy shows in the method of lofting. Taking lines off the original was impossible because she had so badly deteriorated. 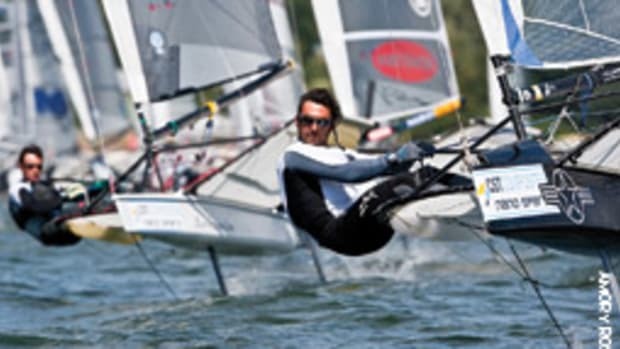 A common and reasonably quick way to ensure that the newly constructed boat will be fair is to enter the lines and offsets into a computer-aided design program. 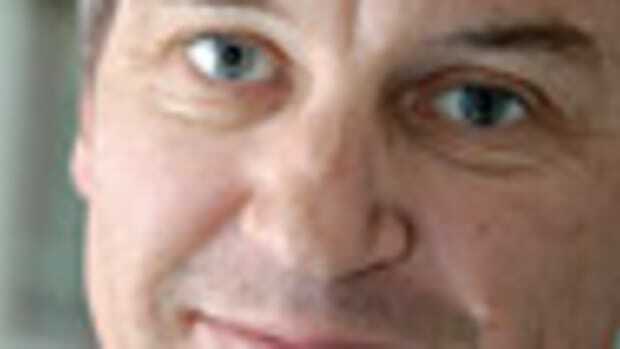 Snediker will use all of the materials that HMCo. used in 1905, substituting only when he must. 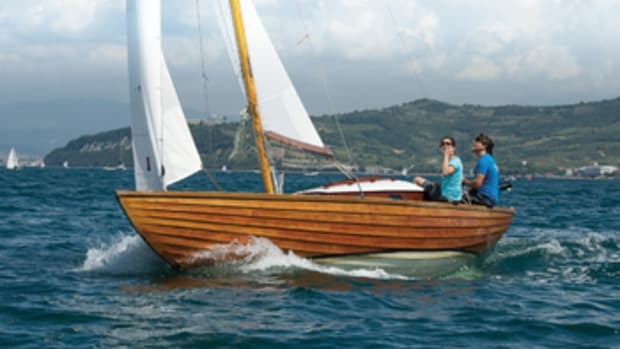 The new Doris will have a single course of 1¾-inch longleaf yellow pine planking below the waterline, double-planked 7/8-inch yellow pine on the exterior and ¾-inch cypress on the interior for the topsides, plus steam-bent white oak frames of 2-7/8 inches by 3 inches spaced 15 inches apart. Doris’ owner plans to keep her simple: no air conditioning, fancy electronics and such. 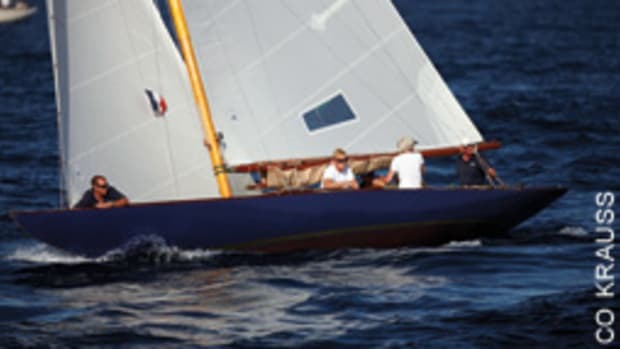 He also plans to race her in classic-yacht regattas.